Uttar Pradesh Basic Education Board (UPSEB) has been released a notification of UPTET 2018 Examination. It is an examination for recruitment of primary and middle school teachers in the state. Applicants those are searching UPTET 2018 Application Form can apply through online mode only. The online application form is available here as well as official site i.e upbasiceduboard.gov.in. Candidates those are interested and eligible for UPTET Online Form 2018 can fill it from 18.09.2018. The last date of online registration is 04th October 2018. Furthermore, information regarding UPTET Notification 2018, our team mention on below segment. Dear Applicants UPSEB is inviting online application form for examination of UPTET 2018. This is a great opportunity for candidates those are searching teaching job in UP state. It is expected that over 05 lakh students will fill up the UPTET 2018 Online Form. The examination is organized for recruiting Primary & Middle School teachers. Therefore, those applicants wish to apply for UPTET Application Form 2018 may fill online form either here or official site. Rest details like UPTET Eligibility, Application fees, How to fill UPTET Online Form and others are mention below. Latest Update as on 04.10.2018: Dear Applicants, if you want to participate in UPTET 2018 Examination then you must fill the online form successfully. The Registration form is available till the last date 04.10.2018. 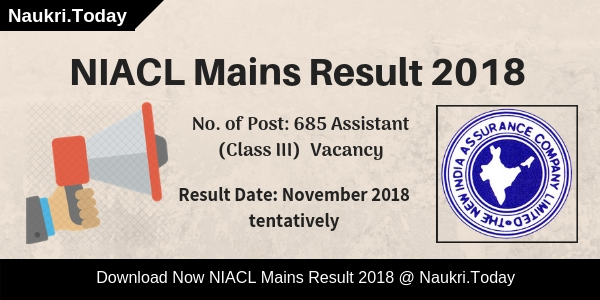 Desired and deserving candidates must fill UPTET 2018 Application Form before the last date. The direct link to Apply online for Uttrar Pradesh TET 2018 Registration is mention at the end of the page. What is the Application Fees for UPTET 2018 Application Form? How to Pay UPSEB UPTET Online Application Fees? 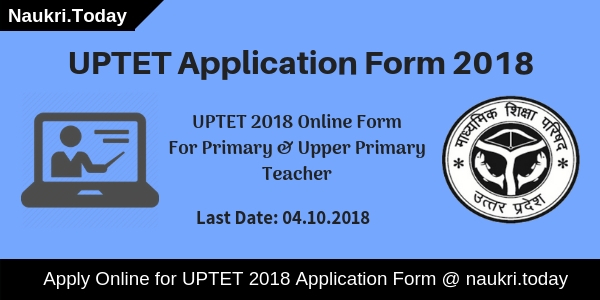 UPTET 2018 Application Form is available from 18th September 2018 to 04th October 2018. The examination will be conducted tentatively on 04th November 2018. Applicants must have Graduation Degree with a minimum qualifying mark 50% for unreserved category & 45% for reserved category. Those candidates want to fill UPTET 2018 Online Form must fulfill eligibility criteria. If applicants found not eligible at the time of registration, there UPTET 2018 Application Form will not be accepted. So before going to apply online must check education qualification, age limit, and other eligibility conditions. Read under information to check your UPSEB UPTET Online Registration eligibility conditions. Those Candidates are Graduation and have a Diploma in Teaching from Aligarh Muslim University are also eligible to fill UPTET 2018 Application Form. 12th Pass with 04 years B.L.Ed (02 years) are also can apply for UPTET Online Form 2018. Graduate with Diploma/Degree in Urdu Teacher is also eligible to apply online. Furthermore, information checks UPTET Notification 2018, which is available at the end of the article. For UPTET 2018 Exam applicants minimum age is required 18 years. The maximum age is not mentioned on the official notification. If you have any doubt about age criteria then you can check UPTET 2018 Notification from below section. Upper age relaxation is applicable as per govt. rules. Candidates who are going to apply for UPTET 2018 Exam also required to pay application fees. Those applicants are belonging to General & OBC category need to pay Rs. 500/- towards application Fees. While SC/ST category candidates have to pay Rs.300 towards UPTET 2018 Online Form. Participants those are physically handicapped need not to pay any fees. The fees will be paid through HDFC bank payment gateway. you can use your Net banking, Credit Card/Debit Card to pay UPTET 2018 Online Application Fees. Furthermore, check official notification. There will be 02 papers organized for Class 1 to 5 and class 6 to 8. Paper will be either online or offline mode. In the question paper, There will be 150 MCQs. You get 01 Marks for Every Correct Answer. Duration of examination will be 2.30 hours. For more information check UPTET 2018 Exam Syllabus. Interested and eligible candidates may apply through online mode only. Before going to fill online application form applicants must have valid email id and password. You must also keep scan copy of passport size photograph and signature. Now you can follow some given below instructions to fill up the form. First of all, visit the official site upbasiceduboard.gov.in. Check all instructions and registration format. Now click to Apply for UPTET 2018 Online Form. Fill out your personal information to get unique registration no. and password. Enter other remaining information on your UPTET Application Form 2018. Make Payment of UPTET 2018 Application Form fees through online mode only. 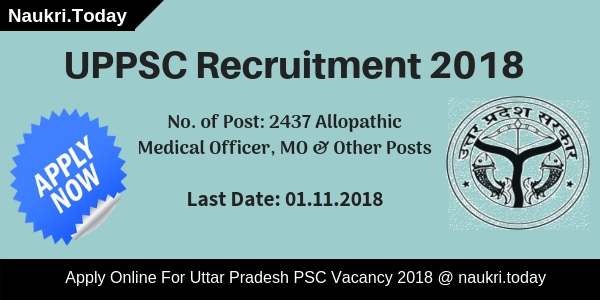 If candidates have any query regarding UPTET 2018 Online form then they can contact through below contact details. Conclusion: UP Basic Education Board is going to conduct UPTET 2018 Examination. The online registration form is available from 18.09.2018. Applicants can submit their UPTET 2018 Application Form till on 04.10.2018. The examination will be going to held on 04th November 2018.